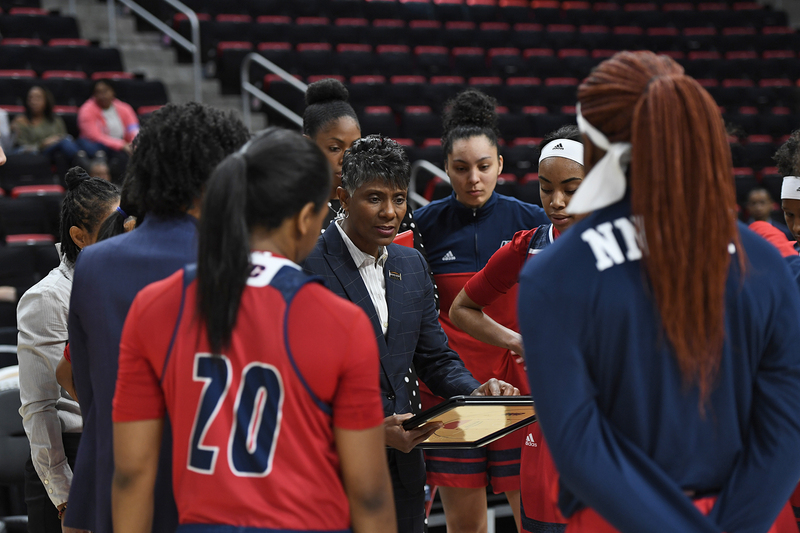 The women’s basketball team (8-22, 1-17 Horizon League) had its season come to a close Friday with an 80-46 loss to No. 7 Oakland (15-15, 7-11 Horizon League) in the first round of the 2018 Little Caesars Horizon League Basketball Championship. Oakland got out to a 13-2 lead early after an 11-0 run. Another triple extended the Golden Grizzlies lead, 20-6, but the Flames had a five-point surge to end the first quarter, 22-11. Brittany Byrd sank her second three of the day, and Taylor Toney laid one up to give the Flames some offense, 30-17. The Golden Grizzlies ended the first half with a 36-17 lead. Teodora Zagorac converted a three-point play with a layup and a foul shot to get things going for the Flames, but Oakland put up a three in its next possession, 39-20. Later, Oakland put in a pair of threes as part of an 8-0 run to extend its lead, 56-26. Brittany Byrd and Taylor Toney combined for four points to star the Flames in the fourth, but Oakland erupted into a 6-0 run, 64-31. Tia Tedford broke up the run with two free throws, but the Golden Grizzlies scored eight to go up, 72-35. The Flames fell by a final score of 80-46.